You Have Rights. We’ll Defend Them. Spector Foerst & Associates is a full-service law firm offering aggressive, results-oriented advocacy. We combine our legal expertise with a practical, pragmatic and personal approach that we hope will make us your lawyers for life. We pledge to represent you zealously, from initial consultation through ultimate resolution. If you need assistance with a matter involving personal injury, real estate, property taxes, estate planning, guardianship, immigration, general civil litigation or criminal matters, we're here to help. With offices around the state, we're readily available to serve clients throughout New Jersey. "We are so grateful to have you guys on our team!! If this were in any other attorneys' hands, the deal would have died. Susan M. – Keller Williams realtor. "Jim was tough when warranted, yet cool and collected when dealing with me. His excellent guidance and advise were integral in keeping this deal together. I trust him implicitly and recommend him without reservation." "Exceptional response time and very thorough and effective." "My immediate thought upon leaving his office was 'I trust this man.' 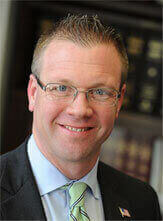 Mr. Foerst is a dedicated attorney with a passion for his work. " "They advertise as 'We want to be your law firm for life.' I can say that this has been true for our family and we will use them for all of our legal needs in the future."  James M. Foerst is a member of the Million Dollar Advocates Forum, one of the most prestigious groups of trial lawyers in the Country. Only 1% of attorneys in the United States are members. Membership is limited to attorneys who have won million and multi-million dollar settlements and verdicts. New Jersey Super Lawyers – James M. Foerst, Esq. 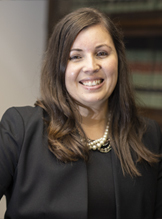 has been selected as a New Jersey Super Lawyer for the last eight years (2011-2018) and was ranked in the Top 100 New Jersey Lawyers in 2014 and 2013. He was also a "Rising Star" in 2010 in the area of Plaintiff's Personal Injury Litigation. Taimour “Tim” Chaudhri. Esq. 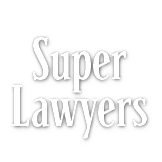 was selected as a 2018 Super Lawyer “Rising Star” in the area of Real Estate Law. The National Trial Lawyers selected James M. Foerst, Esq. 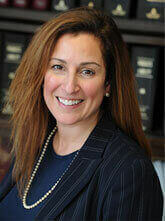 in 2012 for inclusion in the "Top 40 under 40″ trial lawyers in New Jersey of 2012. 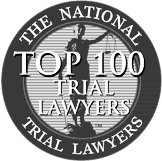 The National Trial Lawyers Top 40 under 40 is a professional organization comprised of America's top young trial attorneys. Membership into this organization involves a comprehensive selection process that includes peer nominations and third-party research. Those lawyers selected have excelled in the court room, possess superior qualifications, and have displayed leadership as young trial lawyers. 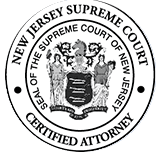 When the New Jersey State Supreme Court designates attorneys as "Certified Trial Attorneys", it means that such attorneys have attained a level of experience and skill at trial, and that they are proficient at pursuing litigation through trial. The Supreme Court designates lawyers as "Certified" only when they've met those high standards and criteria mandated by the Court.